Taft, Florence J. 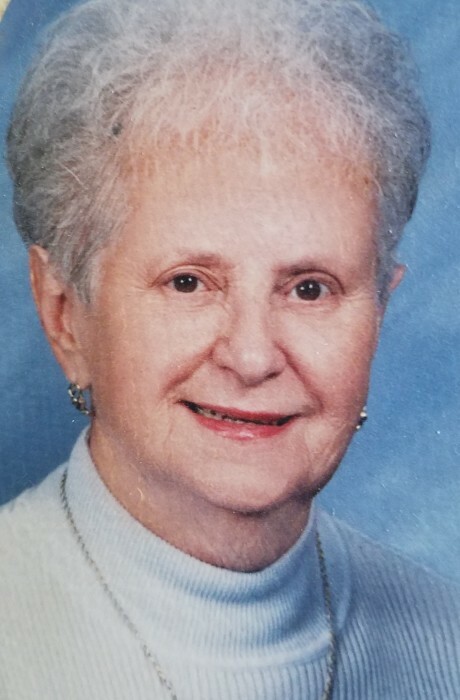 (Towle) of Barrington RI passed away Sunday March 31, 2019 at the age of 93. She was the devoted and loving wife of fifty years of the late Lawrence H. Taft Jr. Born in Mount Vernon New York, she was the daughter of the late Thomas Carlisle and Emma Rose (Cooper) Towle. Florence began her career as a business machine teacher at Hubbard Business School, before transitioning to a 25 year career in accounting for the State of Rhode Island. Later in life she and husband Lawrence started a home improvement company, Shelving Concepts. Florence loved and adored her children, numerous grandchildren and great grandchildren. She always had a phone in her hand, to check in on them daily. She loved spending quality time with her husband traveling to Aruba, as well as renting summer cottages in Point Judith RI with the rest of her family. She is survived by her sister Frances Melba (Towle) Spencer of Pawtucket RI, children Marie (Antonevich) Langlois of Pawtucket RI, Karl Antonevich (wife Kyle) of Bristol RI, Debra Antonevich of Riverside RI, Duane Antonevich (wife Tonya) of Charleston SC, Michael Taft of Warren RI , Timothy Taft (wife Kaleen) of Putnam CT, Bethany Antonevich of Barrington RI, step-daughter Laurel (Taft) Curran of Norton MA, 3 nieces, 3 nephews, 15 grandchildren and 19 great grandchildren. Calling hours will be held Friday April 5th, 2019 from 4-7pm in the Smith-Mason Funeral Home 398 Willett Avenue, Riverside.There will be a Chapel service held Saturday April 6, 2019 in Gate of Heaven Cemetery, 550 Wampanoag Trail East Providence RI at 10:00 am to which relatives and friends are invited.In lieu of flowers, donations may be made in her memory to Meals on Wheels, 70 Bath Street, Providence, RI 02908 or Pawtucket Day Nursery, 25 Thornley Street, Pawtucket, RI 02860.